1. Seal Leaks. Doors, windows and electrical outlets are common culprits. With energy prices continuing to climb, energy and money saving measures can be a big help. Air leakage accounts for between 25 and 40 percent of the energy used for heating and cooling a typical home. Before the weather gets too cold, check around doors, windows and joints in building materials for air leakage. There are many products available for air sealing in your home including caulks, sealants and insulating foams. A common spot for leaks is behind outlets on outside walls. Purchase inexpensive outlet gaskets and put them behind the outlet covers to seal them up. One place you DO want leaks in in your attic. A well-ventilated attic is the key to a warmer house. 2. Clean Air. In cooler weather we all spend more time indoors, where the air is often 25 times more polluted than the air outdoors. The solution is a whole house air cleaner. Unlike the seen-on-TV room air cleaners, a whole house air cleaner is built-in to your home’s heating and cooling system. As a result, it can clean the entire home. High efficiency units not only remove dust, but also removes bacteria that causes colds and flu. Professionally installed whole house air cleaners can also help extend the life of your heating and cooling equipment, and is a good fall home improvement project. 3. Add a Programmable Thermostat. Did you know that programmable thermostats could help you save money and energy all year long? They allow you to control your home’s climate around the clock, winter and summer — without any additional effort. In fact, setting the thermostat to control the operation of your central air conditioner can also manage excess humidity in the home and reduce your overall cooling bills. To maximize energy savings, install the thermostat away from natural cool or hot spots. In hot summer months, set the thermostat several degrees higher when you’re away. During the colder weather, program the thermostat a few degrees cooler while you’ll be gone. Most programmable thermostats have multiple settings, allowing you to adjust accordingly and save a few extra dollars while you’re on vacation. An example of a programmed day during the winter is to have the temperature lower during the night, warming up before everyone rises for the day, dropping once everyone leaves the house and warming up again before everyone returns home. Programmable thermostats are available for as little as $50 and installing them is a simple fall home improvement project for a service professional. 4. Prep for Storms. 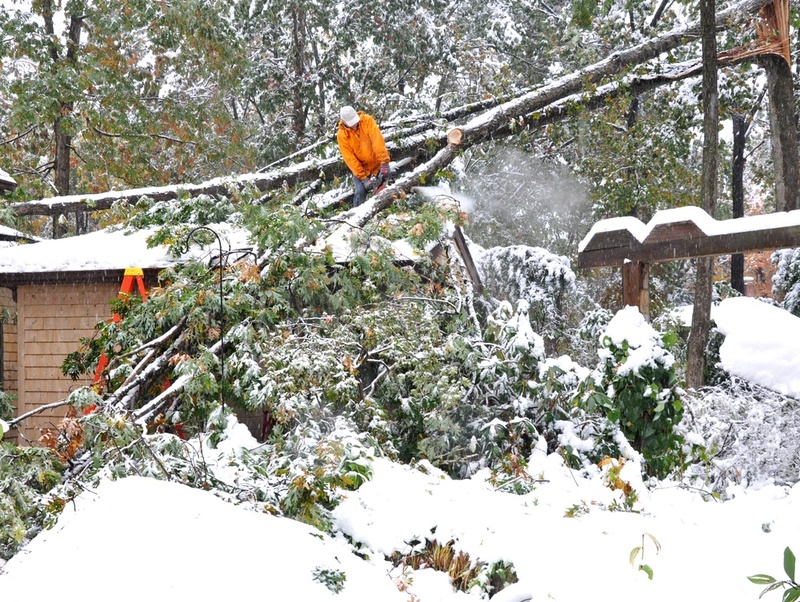 Be it sleet, snow or something in between, winter storms can wreak havoc just about anywhere. In fact, each year 75% of all Americans experience a power outage. A backup generator is a great idea, especially if your household has young children, elderly residents or anyone with special needs. A great type of backup power to consider is a generator that will automatically take over the running of your home’s electrical appliances if power is suddenly cut off. Running on your home’s natural gas or propane, there’s no messy gasoline to handle or extension cords to connect. A generator provides worry-free safety and security in sizes ranging from 7,000 to 150,000 watts. 5. Tweaks and Squeaks. Before winter’s corrosive weather sets in, homeowners are wise to give their homes the once over with a can of WD-40. With windows and doors to lubricate, squeaky hinges to silence and much more, no home should be without WD-40. Fall is the time to dig in and do the easy fall home improvement projects you've been avoiding but will be thankful are finished come winter!